It must be a sign! I’m sat on the floor typing this entry to my blog. My desk has gone to the studio but my computer, for now, remains at the home office! 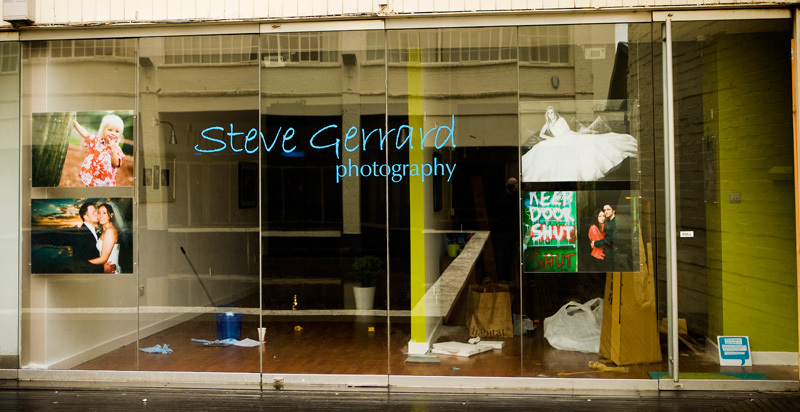 Yes folks, it’s a full-on, all-action, slightly panicky week here at Steve Gerrard Photography as we put the finishing touches to the studio ready for the launch on Sunday. We’ve done more shopping than we can afford, got pictures on walls (a few more to go yet) and taken a van full of stuff down to the space with the help of our uber-cool friend, Lee. And yesterday the guys finally turned up to fix the sign to the front and it looks pretty damn fine I think.. Please excuse the mess on the other side of the windows. I promise that’s my next job! Not too much else on this week, as all our time and effort goes into studio preparations. On Monday I did manage the 90 minute drive to see Pete & Emma regarding their wedding in July and I’m happy to say they’ve chosen us for the job. Sounds like it’s gonna be a fun day too. 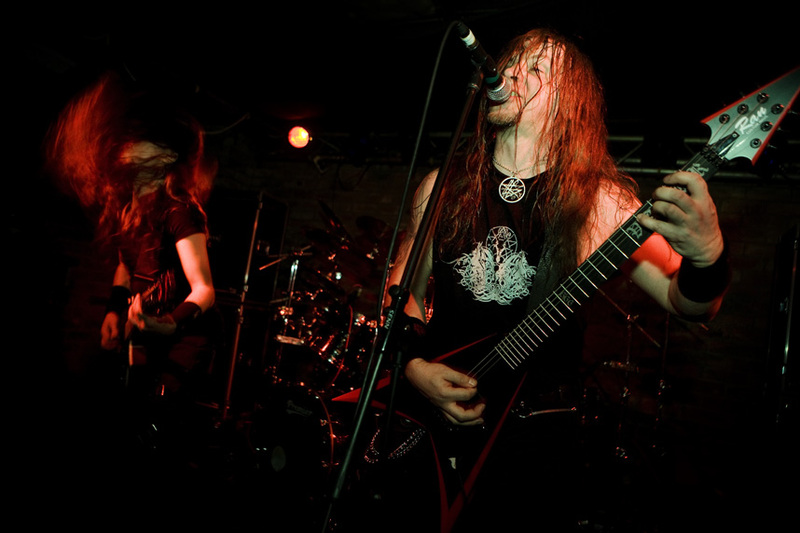 On the way back, by complete contrast, I stopped off at Nottingham Rock City to shoot death metal band, Vader. Great band to photograph! Go and check out American Photo magazine’s Top 10 Wedding Photographers 2008. There are plenty of glaring omissions such as Jeff Ascough (who just launched his brand new website) and Jerry Ghionis (who I’ll be spending 5 days with next month!) but there are still some fantastic people on the list. Bit odd that they’re all from America though!? The studio is looking cool – the window display would definitely make me want to come in and take a look around. I particularly like the piece of instillation art – what’s it called? Mop & Bucket – a study. Urban Village Dave did the ‘Keep Door Shut’ artwork on the bottom left print and now thinks entitled to some sort of royalty payment :).